Early bird registration is open for NRMCA’s ConcreteWorks 2018 scheduled for September 29 – October 1 at the Gaylord National Resort & Convention Center in National Harbor, MD. Register now to take advantage of the early bird pricing discount and save more than $100 off the regular registration fees. NRMCA has contracted a discounted room rate at the Gaylord National Resort of $249/night plus taxes and a $22/night resort fee that covers several in-room amenities. Hotel reservations can be made by calling the Gaylord reservations line at 1-877-382-7299, option 4, and asking for the "NRMCA’s ConcreteWorks 2018" rate; however, we encourage you to make your hotel reservations online. The hotel reservations cut-off date is Tuesday, September 4, or when the block sells out, whichever occurs first. For more information, please contact Senior Director of Meetings Jessica Walgenbach at jwalgenbach@nrmca.org. Click here to access NRMCA’s ConcreteWorks' registration, the resort's online reservations' link, the exhibitor prospectus and more. Quality control doesn't end at the plant. When you need to make corrections on the road or at the job, you want something that is fast, reliable, and easy to use. 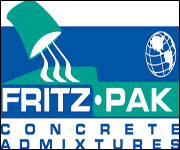 With Fritz-Pak Concrete Admixtures, you can make simple adjustments to air entrainment, slump, and set time. Our patented water-soluble bags are designed to make it easy for anyone to adjust the mix. 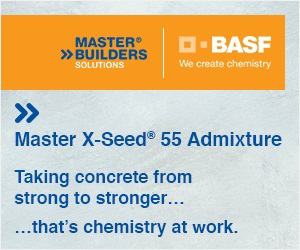 Stop losing loads and start making better concrete today! The annual Mixer Driver Recruitment & Retention Survey and Developing Industry Leaders (DIL) programs fall under the purview of the six-month old Workforce Development Committee. Records were broken in June when their first two initiatives to increase participation in both programs hit it out of the ballpark. At the close of both, participation in each increased a whopping 23%. The Workforce Development Committee is looking for more active members from big, small and medium Producer members throughout the country. Please join! The next meeting will be in Chicago, August 28-29. 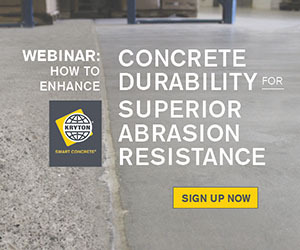 A follow-up meeting will be held at ConcreteWorks in suburban Washington, DC, September 27. While most members are HR and talent development professionals, all are welcome. It will “take the village” to address the serious workforce challenges the industry faces; we all have a stake in the game. For more information, please contact Eileen Dickson at edickson@nrmca.org. NRMCA members are urged to tell the International Code Council (ICC) to vote no on mass timber proposals that threaten public safety. This is an extremely critical issue and NRMCA needs your help in providing a public comment for Disapproval on G108-18, a proposal that would allow Cross Laminated Timber to be used in up to 18-story buildings in the International Building Code. Complete instructions are listed in the link below as well as sample comments. Please consider taking this important step for your industry and please share with as many concrete industry colleagues as possible. Deadline for public comments is Monday, July 16. Now is the time to take action by urging the ICC to say no to these dangerous proposals that are up for a final vote which closes on Nov 27, 2018. Join the public hearing process to let your voices be heard. This highly-combustible mass timber must be stopped. However, and to be clear, your comments need to be technical in nature and substantive: Just saying “wood burns” or “I don’t like CLT” (while true) is not enough. Click here for more information and instructions on comment instructions. For more information, contact John Loyer at jloyer@nrmca.org. In a big win for NRMCA and coalition partners, the Senate last Thursday passed the 2018 farm bill without including any add-ons for the timber industry. Not only did the farm bill exclude a Tall Wood Building Prize Competition, but NRMCA and coalition partners successfully beat back a last-minute amendment to add the competition back in. Defeating these provisions was a high priority for NRMCA since including them would have advanced the wood industry’s agenda. As part of a robust effort to address the industry’s workforce challenges, NRMCA Government Affairs staff has joined discussions with other industry groups to identify federal policies that could help alleviate difficulties with driver shortages, worker qualifications and other workforce-related challenges. These could include potential legislation to reduce the federal minimum driver age for interstate trucking, reauthorization of career and technical education and workforce readiness programs. Included in discussions are groups like the U.S. Chamber of Commerce, Associated General Contractors, National Stone Sand and Gravel Association, Portland Cement Association, Association of Equipment Manufacturers and Associated Equipment Distributors. For more information, contact Andrew Tyrrell at atyrrell@nrmca.org. Also see related item under the Workforce Development heading. You’re invited to an evening in the roaring 20’s full of mystery, madness, mayhem and murder at NRMCA’s ConcreteWorks 2018 benefiting CONCRETEPAC, NRMCA’s Political Action Committee. Don’t leave your sleuthing hats at home for this one - we’d kill to have you join us! For more information on how to RSVP and solve the crime, contact Taylor Drzewicki at tdrzewicki@nrmca.org. FLEX Controls™ are the new nerve center that meets the demands of your job today and seamlessly upgrades for the demands of tomorrow. 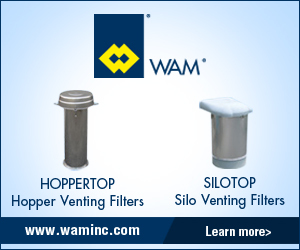 Recently acknowledged with two awards; “Top 100 Product” and “Most Innovative Product,” the industry has spoken. 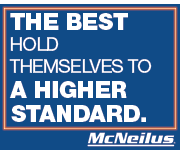 Whether it’s simple reliability or complex precision, our flexible system lets you add or take away functionality to meet your needs so you can focus on getting the job done right. With the conclusion of last week’s Plant Manager Certification course in Nashville, the last window to take the class in 2018 will be December 11-14, in Austin. The class is currently one-third full; plenty of seats available, but based on trends, it will sell out. Do not delay registering. The first two courses in 2019 are also open for registration. They are January 15-18 in Tucson and February 19-22 in Charlotte. Further classes are planned for St. Louis, Portland (OR), and Orlando. They will open for registration at a later date. For more information, contact Meghan Callahan. This year’s NRMCA National Mixer Driver Championship will take place on Saturday, September 29, during NRMCA’s ConcreteWorks being held at the Gaylord National Resort & Convention Center, National Harbor, MD. The registration form for drivers looking to participate in NRMCA’s National Mixer Driver Championship 2018 is now available; please note that the registration form and payment for entering drivers into the championship are both due Wednesday, August 1. Click here for registration information and entry form. For more information, contact Gary Mullings, Jessica Walgenbach or Meghan Callahan. This year’s Mixer Driver Championship brings an even more enhanced sponsorship program. 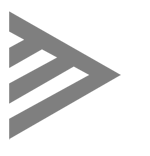 With the continued growth of the event, sponsorship opportunities for members and non-members have been expanded. Please review the new sponsorship program opportunities and circulate them within your company and to any outside vendors you deem appropriate. Enhanced sponsorship opportunities include entertainment and activities, driver spouse appreciation, tenting, DJ, beverage station, course challenges and many more. Click here to review the 2018 sponsorship program and contact Jacques Jenkins at jjenkins@nrmca.org for more information.